Lately I've been playing around with HTML5 Web Sockets. This has been pretty fun and educational. Especially since I've ran into a few problems, and very little documentation is available on it. After resisting the temptation of pulling my hair out (since I don't have a whole lot of it left, anyways), and focusing on finding answers to these problems, I was rewarded by a generous universe, who revealed me all the answers I needed. 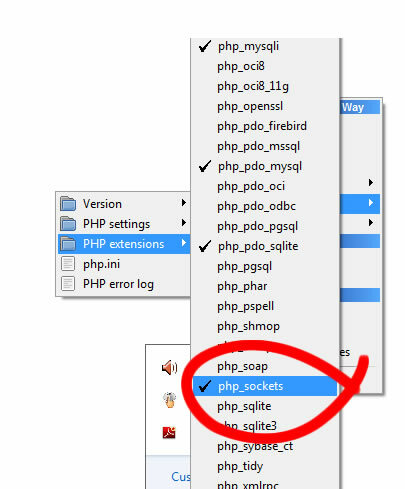 This post will cover 3 ways to help you solve the common error you may run into when attempting to create sockets in PHP using WAMP (Windows, Apache, MySQL, and PHP). This error message says Call to undefined function socket_create(). This will execute your script right in the command window. If you're trying to run a PHP socket server so clients can connect to it, you will need to run it from a terminal (command line), and this is how you set it up. However, there are 2 more ways to solve the socket problem ("undefined function socket_create()"). They're both pretty similar, although the second one is less obvious. Again, after restarting all WAMP services, try running your PHP script with the create_socket() function call, and things should work out just fine now. This will list the information (file paths) about the configuration of your PHP that you need to edit. The second line of the output you get from this step shows where the true php.ini file is located. Go to that path and uncomment the line that points to the sockets.dll file as described in the previous step. Notice how in this case the .ini file is located within my WAMP folder, which is why the other steps shown in this tutorial worked. 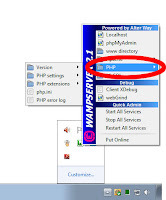 But some times this location will be different from the WAMP install location, and by changing that php.ini file you will be able to truly enable and use those desired PHP sockets. Cheers mate! saved me tons of time! Ur a genius. Who the hell would have ever figured that I wasn't editing the php.ini file that is actually being used? Hi - are there any obstacles to run it as a windows service? None that I can think of. I've never done it, so I can't give you any more insight than that. But as long as the service implements whatever interfaces are required, it should be fine. There are 2 php.ini ... one in php directory one in apache directory..
You made my day, thank you! 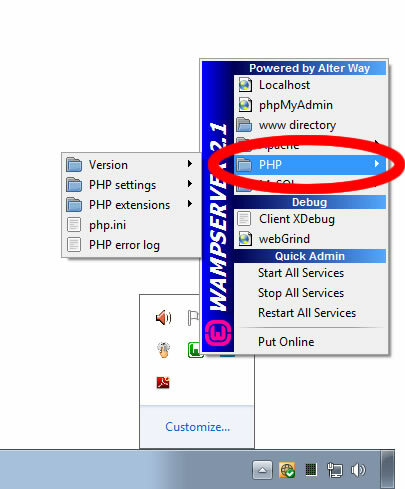 It's crazy how you change the php.ini settings by clicking on the wamp icon yet in the real file it still stays disabled. awesome that your post allowed me to find the fix!